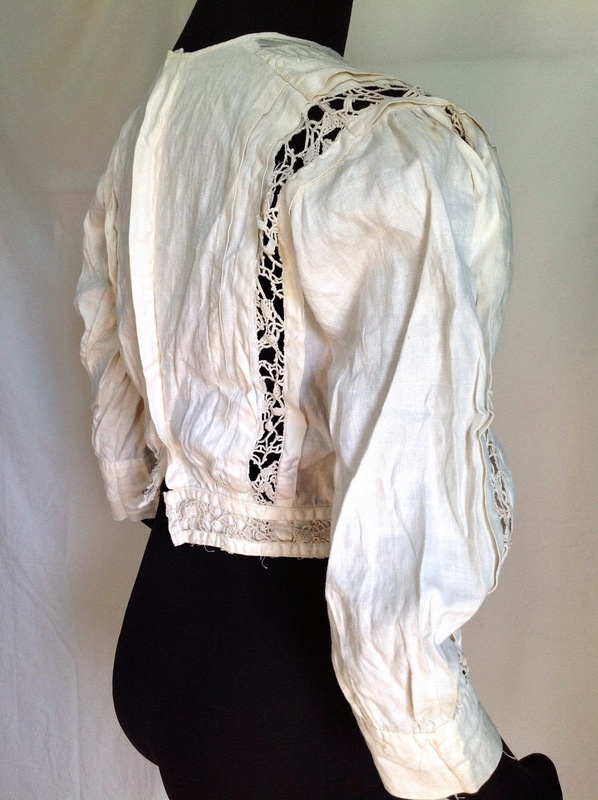 Amazing linen blouse, circa late 1800's and in incredible structural condition, with all fabric and lace still totally sturdy and strong. Scattered faint rust colored strains may come out with a healthy soak in a serious cleaning agent. 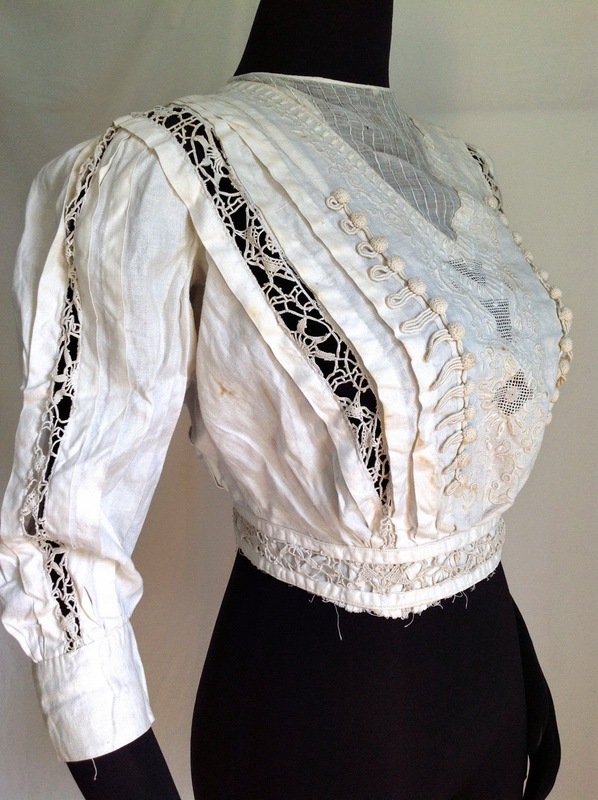 Lace covered domed ornamental front buttons interspersed by pleats, Soutache embroidery and battenburg lace. 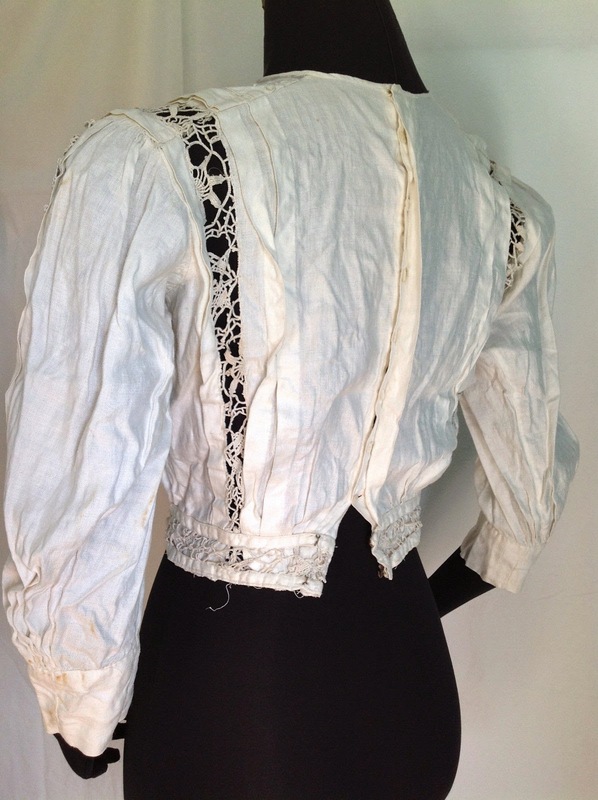 Mini Mother of Pearl Buttons close the back up with hook and eye at the top and bottom of the placket. This is a beautiful and amazing, historic piece that should be treasured by the collector. I love to combine for shipping savings and don't profit from the shipping, no matter how many pieces you buy, so combining will really save. I post 2x weekly, so please check in often. Thank you! 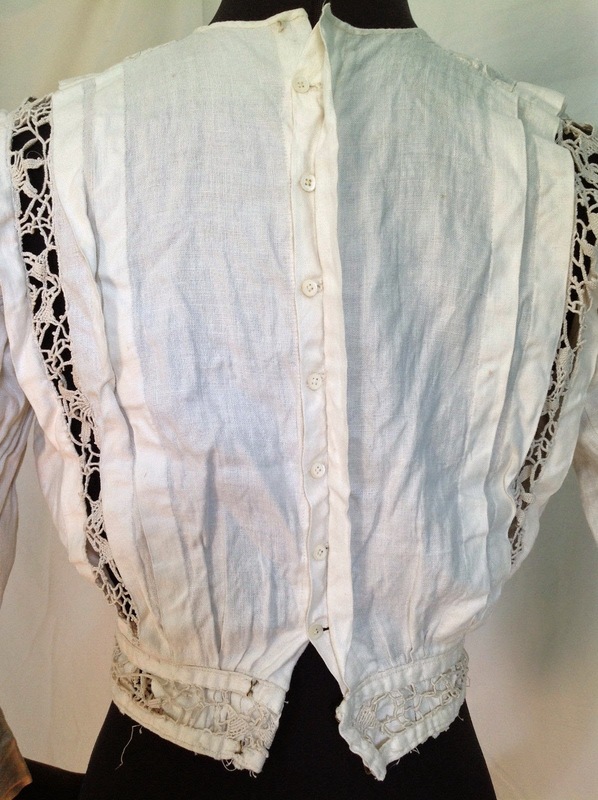 Sleeve length, from rear center collar to cuff: 32.5"
Length, from center rear collar to hem: 16.5"
It looks like cotton to me and the top to a white dress circa 1909 to 1913 really.